I've finally finished putting all my books onto Library Thing. This was a project I started during my holidays after Easter & I've just had a fortnight off so I managed to get all the rest of my books listed. It may seem perverse for a librarian to take holidays & spend time cataloguing her books but that's what I've done. I'm so pleased to have finished that I thought I'd share a few completely useless statistics. Maybe some of you will find this interesting. We're all more or less obsessed with books, aren't we? If not, don't worry, there'll be another book review along soon. 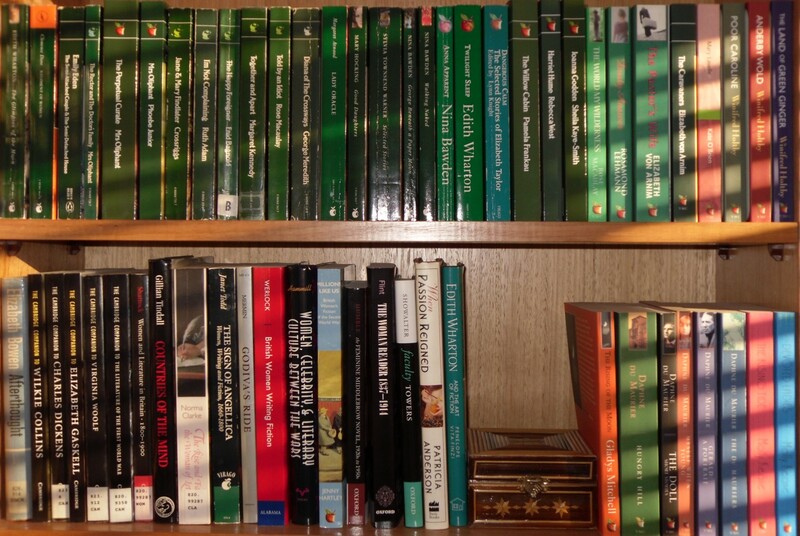 186 Oxford University Press titles & 412 Penguins. 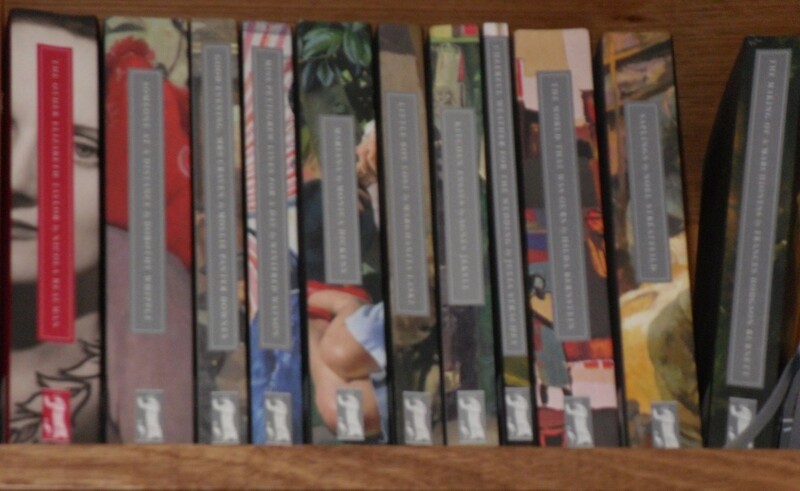 94 Folio Society books, & 252 books with the tags History, England, Biography. 108 Persephones (all the published titles plus the Classics). 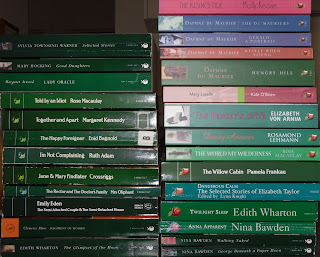 57 books by or about Jane Austen & 60 by or about the Brontё sisters. 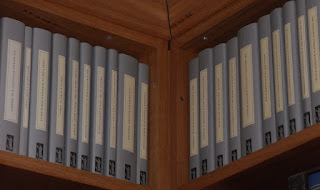 146 volumes of poetry, 75 volumes of letters & 41 journals or diaries. 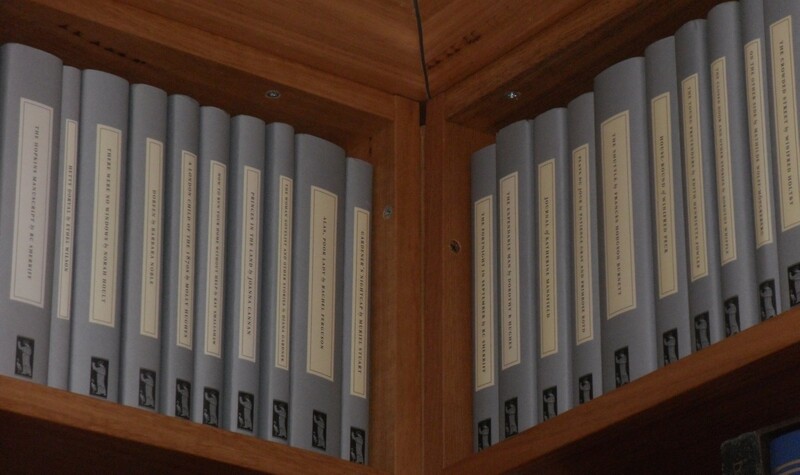 As well as 812 biographies, 123 volumes of short stories & 207 mysteries. Of course, all those totals include books from the tbr shelves as well as books I've read. I have 803 books on the tbr shelves & if you add in the unread books on my e-reader, you might as well round it up to 1000. I think this post is a good definition of obsession but at least now I can quantify just how obsessed I am which must be a good thing, surely? I've decided to give in to my John Donne obsession & post some of my favourite Donne poems over the next few weeks - or months, however long it takes! The Good Morrow is one of the few poems I can recite by heart. We didn't learn poetry by heart when I was at school so although I know bits & pieces, I know very few complete poems. This is one of the poems I remember studying at school & my appreciation of Donne was increased rather than stifled by the experience. It's such a beautifully calm poem. It's easy to imagine the lovers lazily lying in bed, reluctant to get up & break the spell of their love. 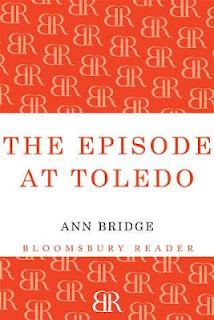 The Episode at Toledo is the 6th book in the Julia Probyn series of novels by Ann Bridge. I'm so pleased that Bloomsbury included these books in their wonderful Bloomsbury Reader list of e-books as I've loved reading them. There are only two more in the series & I was very tempted to go straight on to the next one last night when I finished this. It's that old dilemma - do I space the books out so that they last or rush on to the next one & finish the series knowing there will be no more? Hungarian Countess Hetta from The Portuguese Escape has married British diplomat Richard Atherley & they're now living in Madrid. When an American admiral arrives to inspect the location for a NATO base, Hetta is horrified to recognize a Hungarian Communist acting as his chauffeur. The chauffeur, Luis, was involved in the expulsion of the nuns Hetta lived with in Hungary during the Soviet invasion & she recognizes him even though he's changed his name & now has American papers. She discovers a plot to assassinate Admiral Luxworthy but in foiling the attempt, the chauffeur, Luis, recognizes her & her life, & that of her unborn child, are in danger. Hetta retreats to Gralheira, the Portuguese estate of the Duke of Ericeira, along with the Duke's daughter, Luzia, who is hoping to become engaged to Nick Heriot, the young man she met while living with Julia in the previous book, Emergency in the Pyrenees. Even at Gralheira, Hetta is not safe, as the Spanish members of the Communist cell follow her & make another attempt on her life during a partridge shoot. Again, it's unsuccessful & the gunman is captured. He attempts suicide & Hetta's quick thinking means that a Spanish speaking priest is available to give him comfort & hear his confession. However, as he's a Communist, he refuses to confess yet tells the priest vital information before his death. Even after the Atherleys return to Madrid, Hetta has to overcome further danger before she can retreat to Glentoran to spend the few months before her child is born in safety. This is much more Hetta's story than Julia's. Julia is living at Glentoran, the Highland estate of her cousins the Munros, with her son while her husband, Philip Jamieson, is on an assignment in the Middle East. She starts the ball rolling by contacting an old friend in British intelligence when she receives letters from Hetta & Luzia with cryptic information. She also arranges Hetta's retreat to Scotland with her usual efficiency. Hetta has grown up considerably since we last met her. Where she was once a headstrong girl with very definite ideas about right & wrong, she has learnt to modify her opinions a little in the diplomatic circles she now moves in. Her relationship with the worldly priest, Monsignor Subercaseaux, shows this very well. Hetta disliked the Monsignor when they first met because she had very austere ideas of how priests should live. She discovers in this book that a priest can be wise as well as worldly & the Monsignor's connections are vital in helping to expose the Communists & prevent an assassination attempt on another American official. As always the main delights of these books is not really the espionage plot but the setting & the recurring characters. I loved the few scenes set at Glentoran, meeting Mrs Hathaway again & especially the scenes at Gralheira, the Ducal estate in Portugal. Nick Heriot arrives to meet Luzia's father, the Duque & they are soon great friends. Nick is eager to learn about the estate which will be his home & he has some ideas of his own about modernising & improving life for the estate workers as well as the family. Nick's parents, Lord & Lady Heriot also arrive for a visit & the Duque is soon eagerly showing them the wine pressing & arranging a partridge shoot. Hetta & Luzia are the driving forces behind all the detection. The local security forces & even Richard Atherley & the Ambassador, just trail around in their wake trying to catch up. They're energetic & determined young women - assassins & Communist plots haven't got a chance. 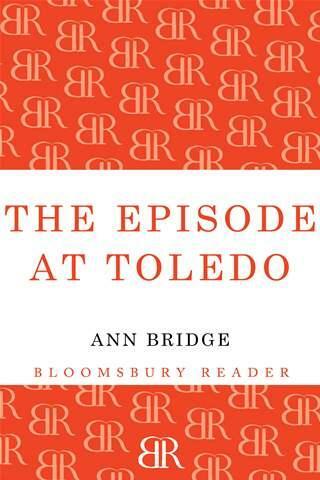 The Episode at Toledo is an exciting, adventurous story with engaging characters & beautiful settings. I loved it & I don't know what I'm going to do when I get to the end of the series. In my post the other day, I mentioned that I was reading The Shadowy Horses but that I couldn't remember where I read the rave review that sent me back to this book after many years. Well, Claire commented on my post & I thought her enthusiasm sounded familiar & so here's the post about several books by Susanna Kearsley that made me want to reread this book. I've read all Susanna Kearsley's books as they've been published & I love the mix of history, suspense, romance & the supernatural that she uses to create her addictive plots. Since reading The Shadowy Horses back in 1998 I've become even more interested in Roman Britain & archaeology so Claire's reminder was all I needed to download the book & start reading almost straightaway. Verity Grey is an archaeologist who has recently started working freelance after leaving the British Museum. A former boyfriend, Adrian Sutton-Clarke, has recommended her for a job at Rosehill, a house on the Scottish border, but has told Verity very little about what the job entails. Verity arrives to discover that the site director, Peter Quinnell, believes that he has discovered the fate of the Ninth Legion. The Ninth mysteriously disappeared in the early years of the Roman occupation of Britain in the 1st century. There have been many theories as to what happened to the Legion from annihilation at the hands of Celtic warriors to the more prosaic redeployment to another part of the Empire. Verity is intrigued but also a little concerned when she realises that Peter is basing his excavations on the word of Robbie McMorran, a local boy with remarkable powers of second sight. Robbie sees a Roman soldier that he calls the Sentinel patrolling an area of land close to Rosehill. Robbie, who accepts his second sight as a normal part of his life, isn't the only one who can sense the Sentinel's presence. His dog, Kip, runs alongside the Sentinel, waiting for him to reach down & give him a pat & Verity becomes aware of a presence watching her closely & protectively. 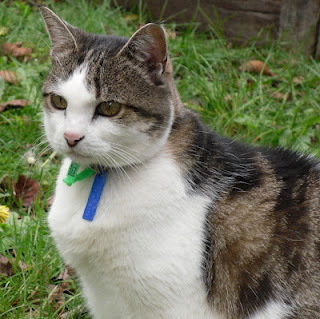 Peter's two cats, Murphy & Charlie, are also sensitive to the supernatural & they can sense the Sentinel as well as the horses that only Verity can hear at night in the field next to the house. The rest of Peter's team have varying levels of belief in the project. Adrian, a geophysicist, is sceptical & mainly there for the money. He's also interested in Peter's granddaughter, Fabia. Fabia is young, beautiful & bored. Staying with Peter after her father's death, she makes herself useful as a photographer. David Fortune is another archaeologist who Verity becomes attracted to. David worships Peter, who inspired his love of history & Peter is very close to David's mother, Nancy, who lives nearby. Peter has only a short time to come up with results so that he can convince Dr Connelly, head of the archeology department at the university to approve his project for summer students. Peter's reputation as an archaeologist has suffered because of his obsession with the Ninth Legion & Verity becomes determined to support his vision, sometimes against her better judgement. I loved this book. It has everything I love in a novel of romantic suspense. It's set in Scotland, it's about history & archaeology, the supernatural elements are beautifully handled, the romance is perfect & there's enough conflict & mystery to keep the plot ticking along. There are even cats! What more could I ask for? According to Marg, who commented on my post the other day, Susanna Kearsley's next book, The Firebird, features Robbie from The Shadowy Horses & is also linked to The Winter Sea, another of the books set in Scotland. I can hardly wait. There's a copy of The Shadowy Horses, as well as several other books by Susanna Kearsley, available at Anglophile Books. 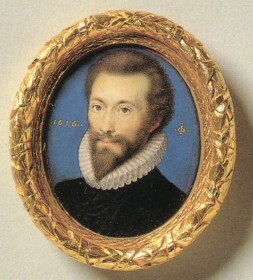 Sunday Poetry - John Donne - again! 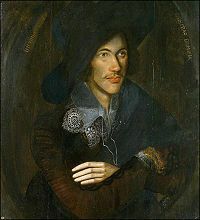 My excuse - if I need an excuse - for featuring John Donne in Sunday Poetry again is that I've just watched Simon Schama's documentary on Donne. It was made a few years ago but it's just popped up on BBC iPlayer Global which is the version of iPlayer that those of us outside the UK have access to. I enjoy iPlayer & I can watch the programs on my TV through my Apple TV box but it would be lovely if there were more recent programs available. The recent productions of Shakespeare's History plays have my mouth watering but when will I ever be able to see them? I was pleased to see that the first series of the new Upstairs Downstairs has made an appearance so I hope it's a sign that, as well as all the great classic serials & older documentaries, we might get to see something more recent. Of course, if they want to give us older series, Michael Wood's In Search of the Dark Ages (read the book, never seen the series), would be a brilliant place to start! Ok, rant over. In the documentary, Simon Schama talked to John Carey, author of the best book on Donne that I've read (John Donne : Life, Mind & Art), & Fiona Shaw read the poems. It sent me back to my books of Donne's poetry & I've been reading the Holy Sonnets & the religious poetry that Donne wrote in his later years after he became Dean of St Paul's. A Hymn to God the Father is one of my favourites. It's a serious poem about repentance & forgiveness but he can't resist the pun on his surname & the pun on Son/sun that is so reminiscent of the dazzling wordplay of the songs & sonnets. I mentioned in my last post that I love publishers who reprint out of print classics that have slipped under the radar for whatever reason. Now with e-books, it's even easier for a canny publisher to bring back an author's backlist without the thought of being left with a warehouse full of unsold hard copies. I discovered Martin Edwards through his wonderful Lake District series. He also wrote an earlier series featuring Liverpool lawyer Harry Devlin but most of the titles have been out of print for some time. I borrowed Waterloo Sunset from work & enjoyed it very much & Arcturus Classics have recently reprinted the first in the series, All the Lonely People. Now, Andrews UK have reprinted most of the rest of the series as POD paperbacks & e-books. Distinguished crime writers have contributed new Introductions & Martin has written a "Making Of" feature for each title & there's a teaser chapter of the next book in the series. All the details are here at Martin's blog. Martin's blog also reminded me of Bello, Pan Macmillan's new e-book imprint. 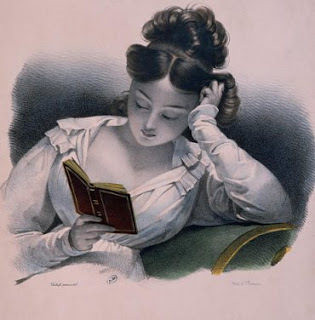 They have some fantastic authors, including Josephine Bell, a mystery novelist I read in the dim dark past but would love to read more of her books. 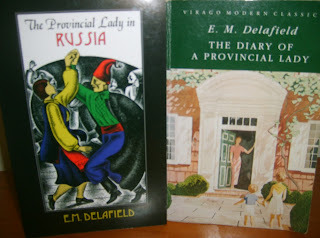 She also wrote historical novels which are part of the new Bello list as well. Other authors include Vita Sackville-West, Eva Ibbotson, R C Sherriff (author of the terrific Persephone reprint, The Hopkins Manuscript), Francis Durbridge & Lillian Beckwith. 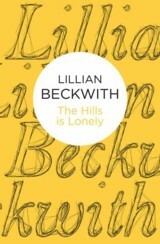 I'm especially interested in the Lillian Beckwith books as I love stories set in Scotland & her memoirs & novels set in the Hebrides have been out of print for some time. 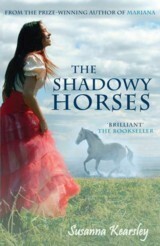 I'm reading Susanna Kearsley's novel The Shadowy Horses at the moment. I read all her books as they were published but this was an especial favourite & I recently read a rave review (I can't remember where now) that made me long to read it again. It's just as good as I remember & looking at Fantastic Fiction to find out when it was published (easier than going back in my e-book), I discovered that Susanna has a new book due out next March called The Firebird. Tantalisingly that's all I can find out about it. There's no blurb on Amazon & nothing on Susanna's website. O Douglas is another of my recent favourites, discovered thanks to Greyladies in Edinburgh. They're publishing two new books next month & one of them is by O Douglas, The Day of Small Things. I think it's a sequel to The Proper Place which I enjoyed & reviewed here. Finally, two books that I've pre-ordered & can't wait to get my hands on. 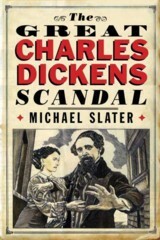 Michael Slater's biography of Charles Dickens was published a few years ago & I loved it. Now, he's written a book (published in September) about Dickens's relationship with Nelly Ternan, The Great Charles Dickens Scandal. He not only describes the relationship between Dickens & Nelly & the lengths Dickens went to to keep it a secret but also discusses how the relationship was finally revealed & the many intrigues that accompanied each revelation. Maggie Lane has been writing about Jane Austen for many years & her thoughts are always insightful & beautifully expressed. Her new book (published in October), Understanding Austen, was the result of a series of articles she wrote for Jane Austen's Regency World magazine. The articles explored some of Austen's favourite words which express her ideas about human worth - elegance, openness, fortitude. It's sure to send me back to reread at least one of the novels. Well, I can never say I have nothing to read & nothing to look forward to! As someone who reads mostly English books I rarely come across a local reference. So, I had to smile when I read that the main suspect in The Mystery of a Hansom Cab had been spotted being driven along Powlett St, East Melbourne. I was sitting in a doctor's surgery (waiting for my sister who has had successful foot surgery) just around the corner from Powlett St as I read those words. That was one of the charms of this book for me, the references to Melbourne. Melbourne was a boom town in the mid-ninetteenth century thanks to the Ballarat gold rush & was known as Marvellous Melbourne. Many of the buildings of that period have survived & the city centre hasn't changed that much since 1886 when this book was written so I could visualise where the action was taking place. The Mystery of a Hansom Cab is one of the most successful detective stories ever written. The author, Fergus Hume, was an Englishman who came out to Australia as many young men did in those days. He was looking for adventure & a way to make a living. He wanted to write plays but nobody would produce them. So, he asked a bookseller what kind of books sold well & he was told it was detective stories. He wrote The Mystery of a Hansom Cab, sold the copyright for £50 & never saw another penny of profit from the 750,000 copies sold during his lifetime. Someone else even turned it into a play & made money from that. Hume only spent two years in Melbourne, then returned to England. He wrote over 100 other books but never matched the runaway success of his first book, which has been cited as an influence by writers such as Agatha Christie & has never been out of print. 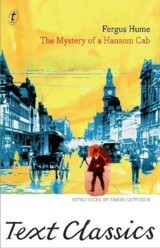 The Mystery of a Hansom Cab is still immensely readable & includes several very modern aspects. The book opens with a newspaper account of a baffling murder that had taken place two nights before. A drunken man was put into a cab by another man & the cabby was directed to take him home. The second man got out of the cab soon after. However, when the driver stopped to ask his fare for directions not long afterwards, the man in the cab was dead. The driver took him to the police station & it was discovered that he had been suffocated with a chloroform soaked handkerchief bearing the initials OW. There was no clue as to the dead man's identity or the identity of the man who had travelled with him. The murder was a particularly clever one. A hansom cab is the perfect location for murder as the driver sits at the back of the cab & can't see inside. The murdered man had no identification on him & the murderer was dressed in evening clothes with a light coat & wide-brimmed hat, a costume worn by many men, including most of the suspects in the book. The case is handed to police detective Gorby, who soon discovers that the dead man was Oliver Whyte, a young man who is connected to the highest levels of Melbournr society. Whyte was part of the social circle of Mark Frettlby, one of the richest men in the city, & is pursuing Frettlby's daughter, Madge. Madge, however, is in love with Brian Fitzgerald, an Irishman who has come to Melbourne to make his fortune. Frettlby has encouraged Whyte's suit although he knows his daughter is in love with another man. Whyte & Fitzgerald are therefore on bad terms & Fitzgerald has been heard to threaten Whyte at his lodgings. Fitzgerald also wears a light coat & wide brimmed hat. Gorby is convinced he's found the murderer, especially when Fitzgerald refuses to provide an alibi for the time of the murder. Mark Frettlby hires an ambitious lawyer, Calton, to defend Fitzgerald. Calton & another detective, Kilslip, are convinced that Gorby has arrested the wrong man & set out to prove it. Kilslip has been a rival of Gorby's for years & his motives are more to do with this rivalry than with any conviction of Fitzgerald's innocence. The trail leads them from the Collins St Block, the milieu of the rich & titled to Little Bourke St, the haunt of the destitute & the criminal. These two streets are only a block apart but many miles apart in every other way. It's in Little Bourke St that Fitzgerald's alibi is found, in the rundown tenement where old Mother Guttersnipe lies in an alcoholic stupor & a mysterious woman who asked to see Fitzgerald, died on the same night as the murder took place. Fitzgerald refuses to reveal the secret whispered to him by the dying woman but Calton successfully defends him on the murder charge anyway, thanks to the appearance at the last possible moment of Sal Rawlins, old Mother Guttersnipe's granddaughter, who confirms his alibi. Then, Calton, with help from Kilslip & Madge must work to discover the murderer of Oliver Whyte & the nature of the secret that Fitzgerald refuses to divulge. The Mystery of a Hansom Cab is an absorbing mystery with a mix of realism & melodrama that is very exciting. Brian & Madge are pretty stock characters but some of the supporting players, such as Calton, Kilslip the dogged detective & Fitzgerald's garrulous & mournful landlady are more interesting. There are more than enough secrets to be discovered to keep the pace moving along. The mix of high society & lowlife is also interesting & the solution of the mystery is bound up with respectability, that most important attribute of Victorian society. The lengths that several characters go to to keep up the facade of their respectability is indicative of that importance & it's something that can be seen in many other novels of the same period. At just over 250pp, I also think it's about the perfect length for a detective novel. I borrowed the e-book of The Mystery of a Hansom Cab from my library & it's part of a new initiative by Text Publishing here in Melbourne. Text have brought out a range of Australian classics with new introductions, most of which had fallen out of print. It was in response to comments in the press that universities weren't teaching Australian literature anymore. It became a circular argument - it wasn't taught because the books weren't in print therefore teachers couldn't read & set the books for their students therefore... Michael Heyward at Text took up the challenge & did something about it. 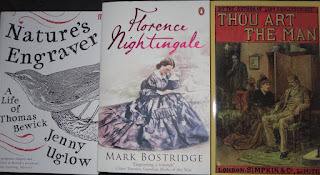 It's a fantastic initiative & I've filled a lot of gaps in my library's collection & bought several titles, including The Mystery of a Hansom Cab, as Bookclub sets. They're all available as paperbacks or e-books & the paperbacks are only $12.95 which is a great price. 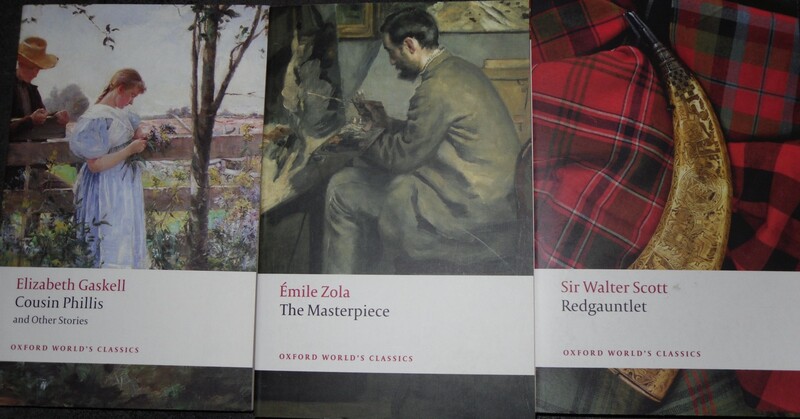 I love publishers who bring back the classics of the past & make them available so hooray for Text Publishing! I've been celebrating the bicentenary of the birth of Charles Dickens this year by reading & rereading his novels. So far this year I've read Martin Chuzzlewit for the first time, reread Great Expectations & now The Mystery of Edwin Drood, his last, unfinished novel. I also plan to read Barnaby Rudge with my online reading group in a couple of months. It's a very atmospheric story, opening in an opium den in London & mostly taking place in Cloisterham, a fictional version of Rochester. The cathdral city setting is wonderful & John Jasper, the choirmaster, seems to be the villain of the piece & is a secretive character indeed. He's addicted to opium & he's also in love with his young nephew, Edwin Drood's, fiancee, Rosa Bud, who unfortunately is one of Dickens's sweet young heroines. Much more interesting is Helena Landless who, with her twin brother, Neville, arrive from Ceylon. Helena goes to school & befriends Rosa & Neville, who falls in love with Rosa, is studying with a clergyman, the lovely Mr Crisparkle. Jasper manipulates the two young men into a feud using either mesmerism or by slipping something into their drinks & when Edwin disappears, Neville is blamed. But is Edwin dead? When I finished reading what we have, which is only about half the projected length of the book, there seemed to be so many ways the story could go. It seems obvious that Jasper has done away with Edwin but could the explanation be that simple? Then, there are the characters frustratingly introduced in the final chapters who we will never really get to know. Who is Datchery, the mysterious man who comes to live in Cloisterham & seems to be following Jasper's every move? Then there's Mr Tartar, the ex-sailor who has come into money & befriends Neville Landless in his London exile after he's forced by gossip & rumour to leave Cloisterham. In the end, I decided to agree with Angus Wilson who wrote the Introduction to my old Penguin edition. He thinks we shouldn't expect Dickens to write like a Golden Age detective novelist. He's more interested in exploring Jasper's evil side than in tripping up his readers with clues & red herrings. This theory does make sense. I've read far too many detective novels & so I expected the conventional themes & plot points of a detective novel. But Dickens wasn't writing a detective novel. When he used elements of detective fiction in his earlier novels, they were never the main focus of the story. Also, all the evidence from Dickens's son & his good friend John Forster is that Jasper murdered Edwin. The chapter outlines that Dickens left behind are quite vague for the second half of the book but he had told Forster the main elements & he's a pretty reliable witness. There have been many articles & books written about the potential solution to The Mystery of Edwin Drood. Some of them are pretty over the top - that Jasper was a member of an Indian Thuggee cult or some kind of ancient Egyptian religion! There are links to several possible solutions here. There was a recent TV adaptation but I haven't seen it & don't know what solution they offered. I think Jasper was just as he appears in the book. An opium addict, in love with his nephew's fiancee & his twin addictions have affected his moral compass. Jasper is a truly menacing figure. He teaches Rosa music & she is obviously afraid of him. Dickens was fascinated by evil & the struggle between good & evil. It can be seen in many of his novels. Maybe readers wouldn't be so fixated on the mystery element if Dickens had used one of the other titles he considered, such as The Loss of Edwin Brude, The Flight of Edwyn Drood, The Two Kinsmen or A Kinsman's Devotion. 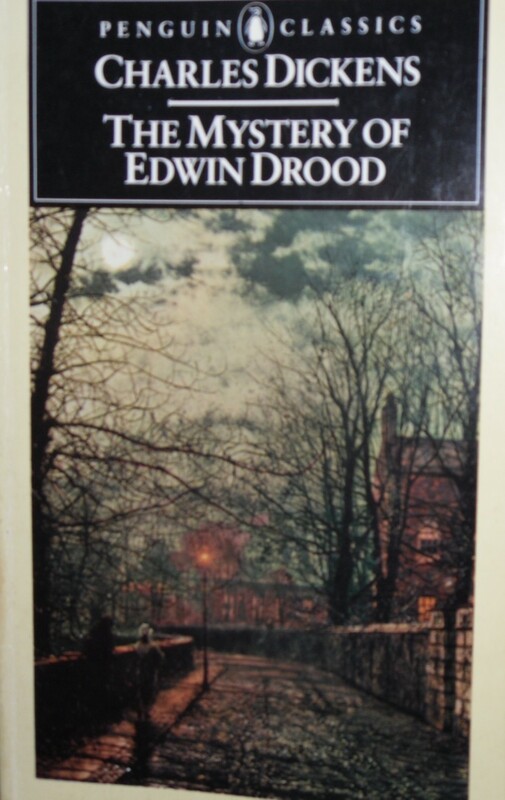 The Mystery of Edwin Drood is one of Dickens's most atmospheric books. The setting in a cathedral city with the great church dominating the landscape is full of menace & forboding. One night Jasper tours the cathedral with Durdles, the sexton. Is he looking for a convenient spot to hide Edwin's body when the time comes? Durdles has lighted his lantern, by drawing from the cold hard wall a spark of that mysterious fire which lurks in everything, and, guided by this speck, they clamber up among the cobwebs and the dust. Their way lies through strange places. Twice or thrice they emerge into level, low-arched galleries, whence they can look down into the moonlit nave; and where Durdles, waving his lantern, shows the dim angels' heads upon the corbels of the roof, seeming to watch their progress. Anon, they turn into narrower and steeper staircases, and the night air begins to blow upon them, and the chirp of some startled jackdaw or frightened rook precedes the heavy beating of wings in a confined space, and the beating down of dust and straw upon their heads. Even the birds seem sinister. Pigeons & doves wouldn't seem as creepy as rooks & jackdaws, would they? 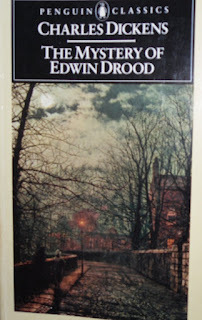 I enjoyed reading The Mystery of Edwin Drood very much. I like Dickens in mysterious mode much better than some of his comic flights. After finishing the book at the weekend I watched a BBC adaptation of one of Dickens's supernatural short stories. The Signalman was made back in the 1980s & starred Denholm Elliott as a railway signalman haunted by an apparition who continually warns him of danger but, even after terrible accidents have happened, the apparition keeps returning. Dickens was the master of atmosphere & dread. I prefer that side of his genius to the saccharine young girls & exaggerated comic characters that are often called Dickensian. He was a complicated man & it's fascinating to explore the dark side of his character. Today's poem is by Robert Dodsley (picture from here), a poet unknown to me but apparently very well-connected in 18th century literary society. 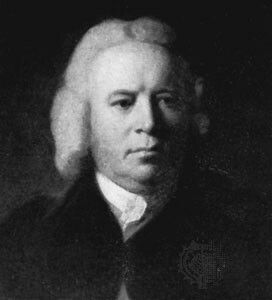 He was a bookseller & publisher who published many of Samuel Johnson's books & helped to finance the great Dictionary. What drew me to this poem was the first two lines which immediately reminded me of Robert Burns's Ae Fond Kiss. Dodsley's poem was earlier & I've since discovered through a little googling that Burns was influenced by this poem, The Parting Kiss, when writing his own. Another example of an inferior, though pleasant, work inspiring a masterpiece. Love in the Sun is a novel about a young couple in love, trying to make a new life for themselves far from the troubles of their past. I'll call the narrator Leo because he is never named & the book seems to be based on the author's own life. Leo & his girlfriend, Dain, have been living in a Yorkshire fishing village, Bramblewick. Leo's marriage has broken down & the resulting scandal means that the lovers have to leave Bramblewick while they wait for his divorce to come through. They want to live in Cornwall & the book opens with Leo searching for a place to live on a cold Christmas Day with very little money in his pocket. He arrives in St Jude, a fishing village near Porthkerris & discovers an ex-army hut in a secluded cove. He arranges to rent it very cheaply from the local boatbuilders, the Hoskins family, & he agrees to work on the hut & the garden. Dain soon joins him & they begin work. The hut is in terrible condition but Joe Hoskins gives them the materials they need to start work & sells them anything else they need very cheaply. Their first night is a disaster with rain coming in on them as they sleep so obviously fixing the roof becomes their top priority. One of the charms of the book is reading about how they set about making the hut into a home. Leo & Dain are resourceful & handy, able to make furniture from boxes, remove interior partitions to open up the interior & also work on the garden to provide vegetables & flowers. They rescue a kitten, thrown overboard from a container ship & name her Choo-i. They explore the coast & coves in a dilapidated boat & dream of the cruiser they will own someday & the trips they will take. At first, they're apprehensive about their circumstances becoming common knowledge. Leo has also left some debts behind in Bramblewick &, although he intends to pay them, he wants to be left in peace to make his new life. Dain is endlessly enthusiastic about every obstacle they encounter. She seems to be much younger than Leo, who has a more realistic idea of their predicament, although he's not above being caught up in her enthusiasms even when they lead to near disaster. Gradually their seclusion calms their fears. They realize that they're probably the objects of village gossip, especially when it becomes known that Leo is a writer but they ignore it. The unexpected arrival of a face from their Bramblewick past frightens them but they concentrate on their projects & plans for the future. Leo writes his book, a novel about Bramblewick, & they wait anxiously for news from the publishers. The book is published, gets enthusiastic reviews but doesn't sell. He writes another book about his failed invention of a lobster-pot, which never got off the ground because of the economic depression. This is also enthusiastically reviewed but is not a best seller. They make ends meet by collecting bugs for a laboratory &, when all else fails, they live on sheep's head, the fish they catch & the vegetables & fruit they grow. In this way they can get by on very little money. They get married quietly when Leo's divorce comes through & have a daughter, Amelia. Leo begins another book, this time a memoir of his Yorkshire childhood & they rashly buy a boat to convert into a cruiser. 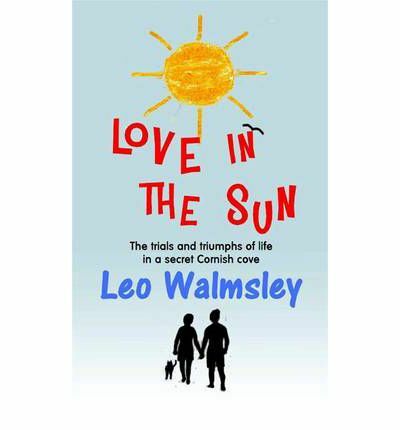 Love in the Sun is a charming book with a serious undertone. Set in the 1930s, the Depression is a constant theme. The Hoskins' boatbuilding business is at the point of collapse, they're always laying off workers who then have to go on the dole. Leo's lobster pot invention was another casualty of the economic situation. The resourcefulness of Leo & Dain, & the inhabitants of the Cornish villages was necessary if they were to make a living. Leo & Dain's love & faith in the future is strong enough to keep them positive as they tackle the many obstacles they confront them. This is a simply told story that deserves to be better known. I first heard of it through reading Fleur Fisher's enthusiastic review & it's since been reprinted by the Leo Walmsley Society. There's also a sequel, Paradise Creek, set some years later, which seems to be a more sober book. I've downloaded a sample chapter of it & I look forward to reading it soon. Queen Anne is one of the underrated monarchs of British history. She was the last of the Stuarts & her reign has been seen as a mediocre period only memorable for the furniture & architecture that bears her name. Anne Somerset aims to correct this impression in this exhaustive biography of Anne. Anne was the daughter of James II, the Catholic monarch tipped off his throne by a cabal of Protestant lords who invited his elder daughter, Mary & her husband, William of Orange, to take the throne. James was a stubborn man who didn't know the meaning of the word compromise. When he converted to Catholicism, he was unable to dissemble. His brother, Charles II, may have also secretly become a Catholic but Charles was canny enough to respect the Protestant sympathies of his people & not flaunt his own religion. James couldn't or wouldn't do this. The tipping point came when his second wife, the Catholic Mary of Modena, gave birth to a son. James's older daughters from his first marriage, Mary & Anne, were both Protestant & most people had been content to allow James to reign as they knew his successor would be Protestant. The birth of his son changed all that. The thought of a Catholic Stuart dynasty was abhorrent to many. Rumours started that the child was an imposter, smuggled into the Queen's bedchamber in a warming pan. James's daughters believed this. Anne apparently believed it until the end of her life. The ridiculous story was latched onto by powerful men who feared the return of Catholicism & after only three years as King, James was replaced in a bloodless coup by William & Mary. Mary had been living in the Netherlands but Anne was at Court & presumably able to weigh up the rumours for what they were. Her behaviour to her father was duplicitous to say the least. Right up until he was deposed, James believed that Anne supported him & he was devastated by her betrayal. Anne's inability to be straightforward with her father is one of her least attractive traits. She was a very shy woman & always tried to be conciliatory even if it meant being polite to a servant or government minister one day & sending them a letter of dismissal the next. Anne is generally known for two things. The number of children she lost & her friendship with Sarah Churchill, later the Duchess of Marlborough. Anne's family life was cerrtainly tragic. She was married to Prince George of Denmark & although it was an arranged marriage, they were devoted to each other. George was seen by the Court as a nonentity, heavy & dull, but Anne loved him. Anne's sad history of miscarriages, stillbirths & infant deaths is distressing to read about. Only one son, William, Duke of Gloucester, survived infancy but he died at the age of 11 from complications from hydrocephalus. Anne's sister Mary also had no children & Anne succeeded her brother-in-law, William, when he died in 1702. Anne's relationship with Sarah Churchill was, in many ways, the most important relationship of her life. 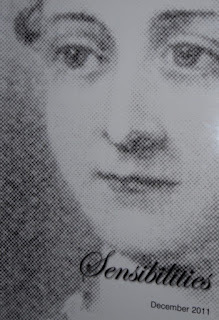 Sarah was a much stronger character than Anne & dominated her accordingly. Sarah had married a young soldier, John Churchill, who would be the military hero of the age, winning many decisive battles in the War of the Spanish Succession which dominated Anne's reign. He was created Duke of Marlborough & Anne granted him the land in Oxfordshire where he built Blenheim Palace as a tribute to his glory. Sarah & John had befriended Anne when she was a lonely princess & they took full advantage of their position in later years. Sarah & Anne's friendship was so close that they wanted to ignore their difference in rank. They wrote to each other as Mrs Freeman (Sarah) & Mrs Morley (Anne) & Anne is often pathetically eager for Sarah's approval. She often referred to herself in the correspondence as "your poor, unfortunate, faithful Morley". Sarah used her friendship with Anne to gain many material advantages for herself & her family & became a prominent figure at Court when Anne became Queen. However, she failed to recognize that their relationship changed once Anne was Queen & her increasingly bullying behaviour only led to estrangement & misery for them both. 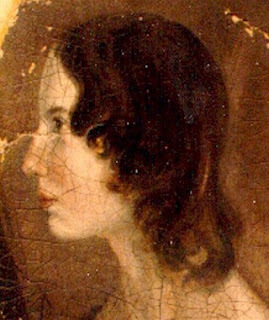 Sarah was especially enraged when a young relation of hers, Abigail Hill, replaced her in the Queen's affections. Sarah's fury was boundless & she even insinuated that Anne & Abigail were lovers. Sarah became obsessed with justifying herself & her behaviour grew more unbalanced. When it became obvious that Anne would have no more children, the question of who would succeed her dominated the final years of her reign. The country demanded a Protestant succession & the nearest Protestant claimants were the House of Hanover, who were descended from James I's daughter, Elizabeth, Queen of Bohemia. Although Anne would not allow her cousin, Sophia, or her family to visit England, let alone live there, she acknowledged that they were her heirs. The alternative for Anne was unthinkable. To recognize her half-brother, James Francis Edward, the warming-pan baby who was now known as the Pretender. James was living in France, supported by Louis XIV, and constantly intriguing with friendly Scots & Englishmen who became known as Jacobites. When Anne died, just months after her cousin, Sophia of Hanover, the succession passed smoothly to Sophia's son, George. Anne's reign was dominated by war in Europe & the creation of modern party politics with the Whig & Tory parties vying for political dominance. Although Anne had had very little education, she was a sensible woman who wanted moderation in all things. She did her best to keep a balance in the political sphere & supported Marlborough in his military feats. She was committed the importance of her public role, even when her poor health made it difficult to fulfill her duties.Anne may have suffered from lupus & her many pregnancies added to her tendency to gain weight which only made her health worse. 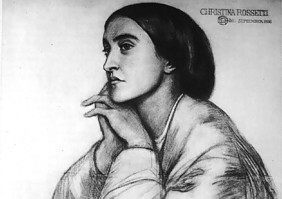 She died from a series of strokes at the age of 49. 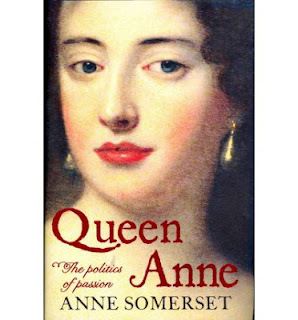 Anne Somerset's biography is sympathetic & full of detail on every aspect of Anne's life & times. Anne's reign may have been overshadowed by war, the fractious Union with Scotland & the speculation about her successor but she was a woman who did her duty well & with dignity. She certainly doesn't deserve to be dismissed as a nonentity. The subtitle of this book is Twenty Crucial Puzzles Solved. 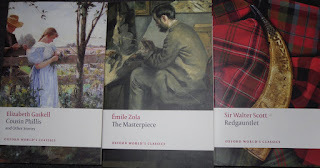 It reminded me of the wonderful books of puzzles from classic fiction written by John Sutherland. 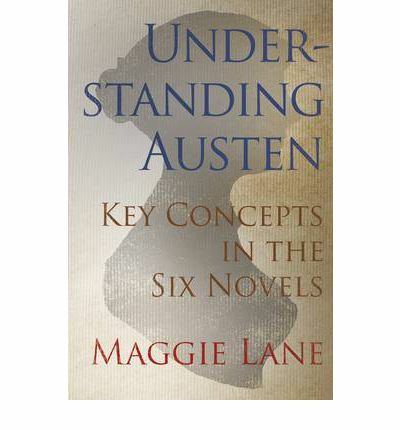 It's definitely not a book for the novice Janeite, much too confusing. But, for someone like me who has read all the books several times, it's a delicious treat. 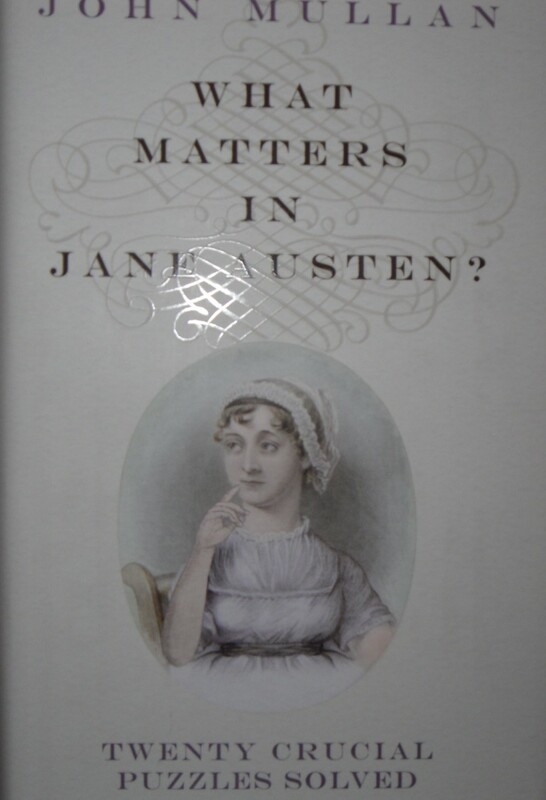 John Mullan looks at some of the questions that modern readers have that Jane Austen's contemporaries could take for granted. How much money did one need to get married? What books do the characters read? What games do they play? Why is it risky to go to the seaside? My favourite chapter is on the right & wrong ways to propose marriage. Just think of Mr Darcy's first proposal to Elizabeth, Mr Elton's tipsy proposal to Emma in the carriage on the way home from a party or Mr Collins's pompous confidence when asking Elizabeth to marry him. Contrast these comic proposals with the fact that we don't ever witness the proposals that are accepted. Anne & Captain Wentworth go for a walk & leave us behind. Mr Darcy's second proposal to Elizabeth is quite tentative until he is sure of her response. John Mullan thinks that we know these proposals will be accepted because the hero is unsure of acceptance. My book asks and answers some very specific questions about what goes on in her novels, in order to reveal her cleverness. The closer you look, the more you see. This is a book to remind you of what you love in the novels & make you want to reread them. I can't really say any more about it than that. I read a chapter a day & found this was a perfect way to approach it. 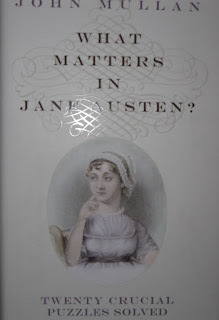 I learnt something from every chapter & was reminded of the reasons why I love Jane Austen & why her novels stand up to rereading where many others do not. Well, here's post 501! Thank you for all the lovely comments on my 500th post yesterday. Reading your comments & having conversations with readers who enjoy the same books I do is the best part of blogging. The celebrations continue with a favourite poet, John Donne, & a beautiful poem, Love's Infiniteness. Sighs, tears, and oaths, and letters I have spent. I can't quite believe that this is my 500th post. I started the blog 2 1/2 years ago & I never expected to keep going past that first fortnight of my summer holidays. Amazingly, I have kept posting & all of you, the kind visitors who keep commenting & starting conversations, have kept coming back. I thought I'd celebrate by adapting Simon's idea of Five from the Archive & post links to five posts that sum up my enthusiasms. They're the posts that have generated interesting discussions rather then the posts with the most hits. Looking through the list, most of the posts with very high numbers of hits have very few comments. Probably because they've been discovered by students looking for information about Sir Walter Raleigh & Emily Brontё or people googling terms like Royal Wedding & English Ghost! 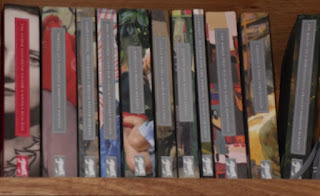 Persephone is my favourite publisher & I love my collection of Persephones, both dove grey & Classic covers. This post, for Persephone Reading Weekend, generated a lot of enthusiastic responses - & some jealousy as well! 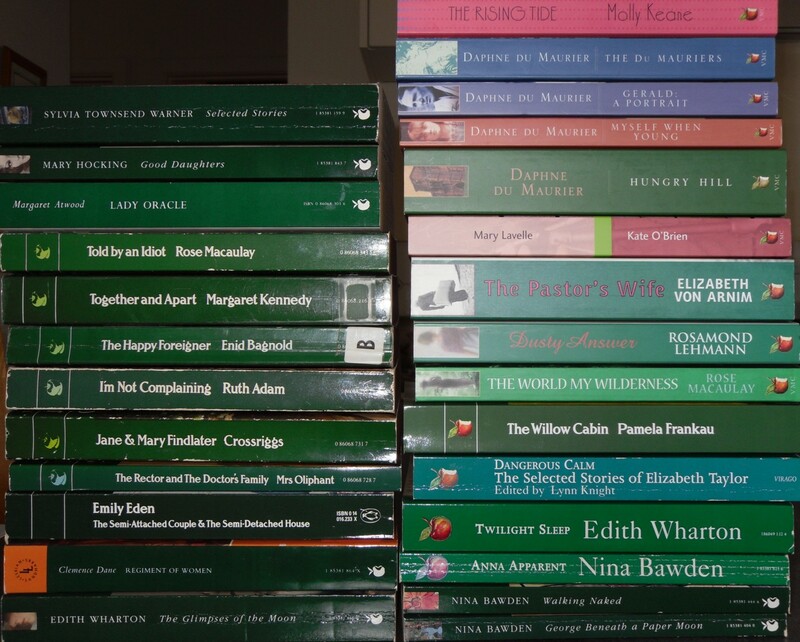 Book design always creates a fuss, whether we love the design (Persephones, original Virago Modern Classics) or hate it (pastel chick lit covers, headless women on historical novels). This post was my response to the changing fashions in cover art. Then there are the books that we all love - well, all of us who love books about books or a particular type of comforting, funny novel that we can read over & over again. 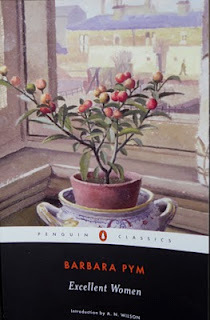 Excellent Women by Barbara Pym is one of those novels. 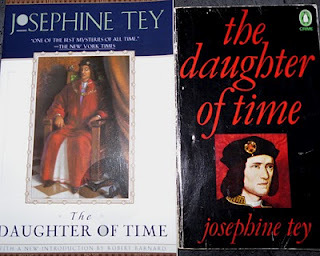 History is another of my enthusiasms & Josephine Tey's The Daughter of Time is one of the books that got me started on my obsession with Richard III & English history in general. I couldn't finish a post about this blog without mentioning Abby. I was very touched by all the sympathetic comments from Abby's fans when she died in May last year. Of course, I now have Lucky & Phoebe to keep me company. 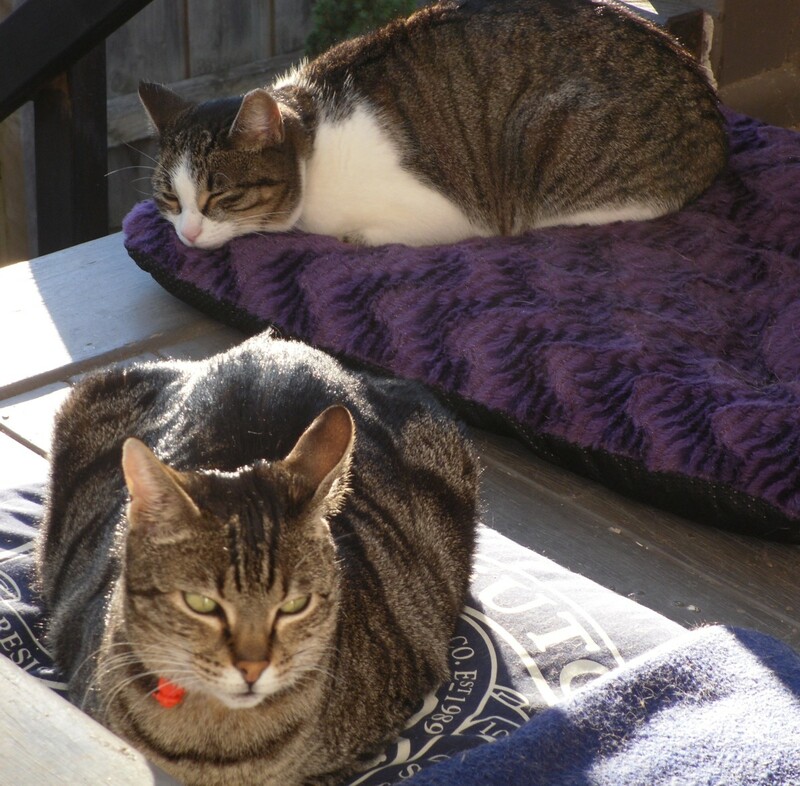 They're enjoying a beautiful sunny winter's day by sleeping on the back porch after a busy morning of climbing (Phoebe) & exploring (Lucky). I've almost finished reading all the books I was part way through in this post so it's on with the next 500 posts! Saturday afternoon was just lovely, not warm but sunny & the predicted rain & hail didn't arrive. 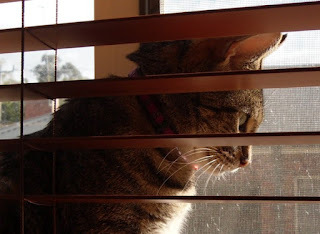 Lucky loves sitting on the window sill in the study observing our neighbours. 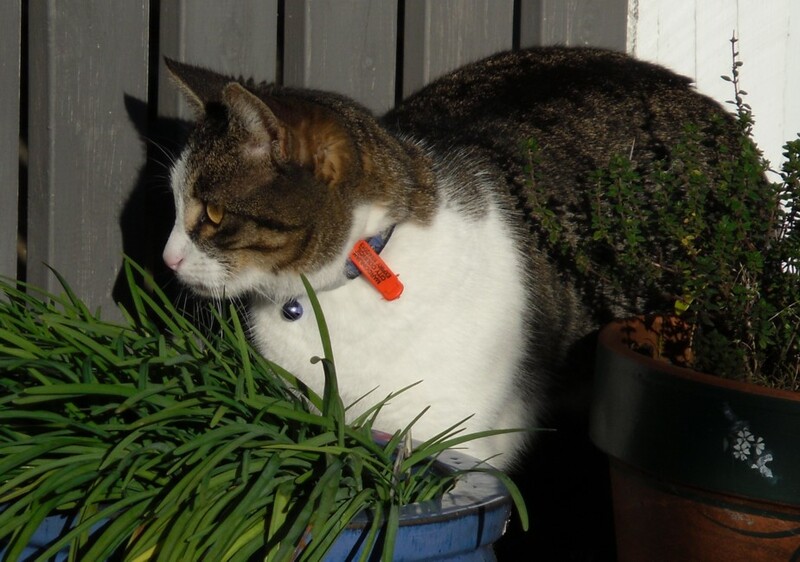 Phoebe prefers crouching behind the flower pots observing Lucky & waiting for a chance to pounce. I love winter, especially in Melbourne where we don't have the freezing temperatures, snow, sleet & general dramas of winter in the Northern hemisphere. We do have our fair share of frosty mornings & torrential rain though. We even had an earthquake a couple of weeks ago. Fortunately it was about 10km under Moe so very little damage was done. We felt it here in Melbourne. Lucky, Phoebe & I were enjoying a quiet evening with a concert on the radio. I was reading & when the rumbling started, Lucky dug her claws into my knee & Phoebe woke up with a start & looked at me for an explanation. I said I thought it was an earthquake & we'd just have to sit tight which we did. It was all over in 30 secs although it felt much longer. Then there's my vegie garden. I started it a little late for summer veg although my herbs did very well & I managed a few tomatoes. I planted broccoli & carrots in early autumn & I've just eaten my first broccoli which is very exciting. I was concerned when little green caterpillars attacked the leaves but I was out on caterpillar patrol every morning & evening picking the wretched things off & they don't seem to have done any harm. 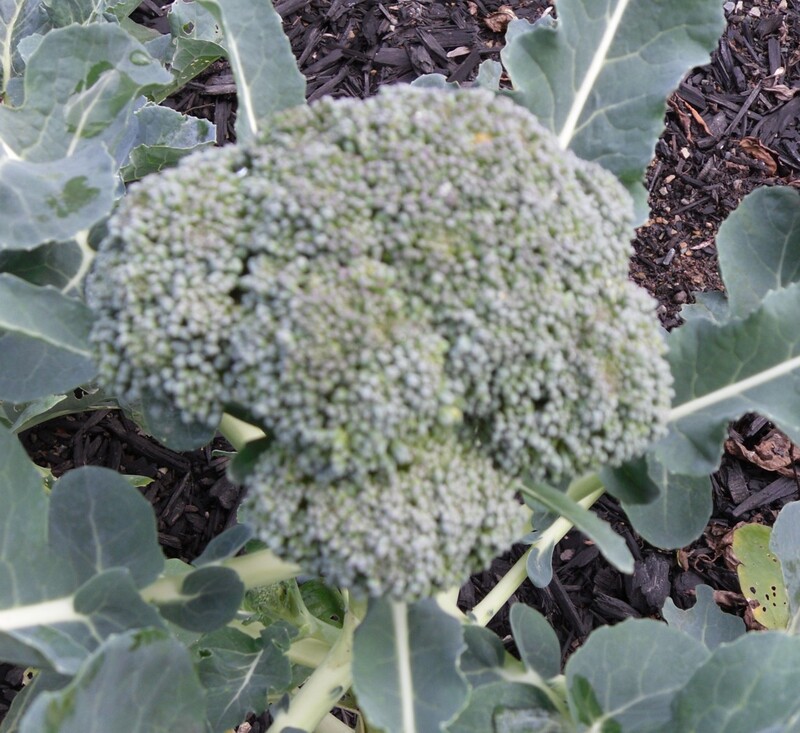 There's more broccoli on the way & I hope to be eating my carrots soon. I ate the broccoli on Saturday night with a trout recipe I saw on one of Nigel Slater's programs. The trout fillets were wrapped in bacon & baked in the oven & served with lemon juice & parsley. I've also bought my one & only Jubilee souvenir. 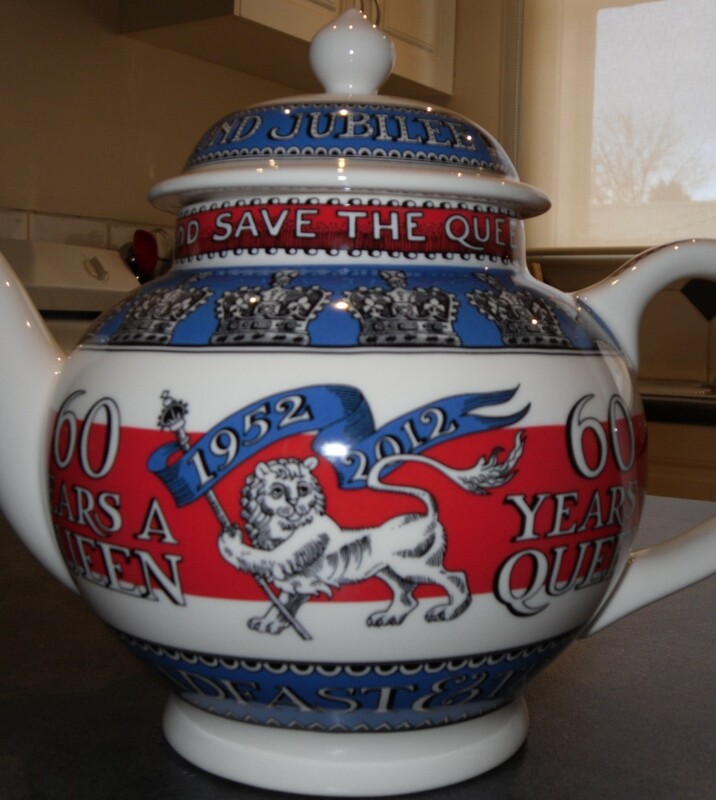 I was very taken with this Emma Bridgewater Jubilee teapot. I love the squat shape & the 50s design. It has the words Steadfast & True around the base which I think describes the Queen perfectly. It arrived last week & it's a good pourer so I've retired my $5 teapot that I've been using for at least the last 15 years & I have this lovely pot to look at & use every day. It was also my first eBay purchase. The Bridgewater shop were charging £50 postage so when I picked myself up off the floor, I thought of eBay as I couldn't find an Australian distributor. It's new & the same price as at the Bridgewater shop but much less for postage & it was here, safe & sound, in less than 2 weeks. Sunday morning was chilly but the rain still hadn't arrived so I was off early to the farmer's market, stocked up with veg, lovely handmade soap & gorgeous gluten free biscuits that are perfect when I feel like a treat with a cup of tea from my Jubilee teapot. I made a big pot of my favourite soup at the moment, carrot & potato with cumin. It's the cumin that makes it so delicious. I also made a wholemeal chocolate hazelnut cake for morning tea at work today. It's a recipe I cut out of the newspaper & it has a very Eastern European feel about it with hazelnut meal, chopped chocolate & chopped hazelnuts sprinkled on top. The afternoon was spent watching the rain pour down, reading Leo Walmsley's Love in the Sun, listening to the Goldner String Quartet playing Beethoven with two very contented cats sleeping their lives away. A lovely way to spend the weekend. Not much is known about Philip Ayres, the 17th century poet. He was a tutor to the family of Montagu Drake in Buckinghamshire for most of his life & that's about it. He's known for some beautiful lyric pieces such as this poem, Love's Contrariety, but I don't know if it's based on his own life. It's addressed to Cynthia but this was just one of the names poets often used as the name of a generic mistress. I couldn't even find a picture of him. 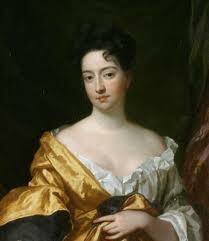 I've chosen a portrait of Hortense Mancini, one of Charles II's mistresses (photo from here). She looks quite contrary enough to have tormented a potential lover. With heat I melt, when starv'd to death with cold. Embrace the world, yet nothing do I hold. Will neither have m' alive, nor have me dead. Do feed of tears, and in my grief rejoice. Both life and death do equally displease.